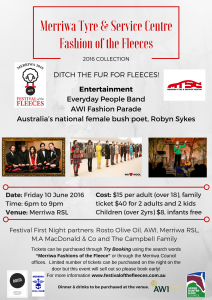 The Merriwa Tyre & Service Centre ‘Fashions of the Fleeces’ First Night includes a fashion parade supported by Australian Wool Innovation and modelled by locals, a performance by top bush poet Robyn Sykes and music from party band ‘Everyday People’. This great evening at the Merriwa RSL from 6pm, Friday 10 June, is sure to sell out so book now. Hanging of the Quilts – your chance to win a beautiful quilt! Local Merriwa quilter Lenore Taylor has once again been busy preparing the annual Festival of the Fleeces ‘Hanging of the Quilts’ and on Saturday 11 June at the Festival you can try your luck in the Hanging of the Quilts raffle for your chance to win a beautiful hand crafted quilt made by some of the region’s best quilters. Tickets will be on sale at the ‘Hanging of the Quilts’ from 9.30am and the raffle will be drawn at 4pm. During the day the talents from local quilters will be displayed at the Merriwa School of Arts. This event is proudly sponsored by Gordon Martin Bulk Hauling & Lenore’s Quilting. Nine councils across the Hunter Region have joined forces to collaborate on a new program to help the wider community understand the importance of recycling. A performance troupe call the Waste Wrappers have been making the rounds across various community events and using juggling, a uni-cycle and songs to highlight the importance of recycling correctly. The Waste Wrappers will be heading along to Festival of the Fleeces with performers Kazza and Gazza to provide information about your yellow bin in a funny and engaging way. The performers will be highlighting the importance of recycling household batteries, removing lids and adding them to the recycling bins separately, and not putting plastic bags in the recycling bin. Keep an eye out for Kazza and Gazza the Waste Wrappers! Local poets are encouraged to get up and have a go at the Bush Poetry competition held on Sunday morning with a prize pool of $500 to be won. You have plenty of time to get your creative juices flowing and work up a winning entry. The competition will be compered and judged by Robyn Sykes the 2012 Australian Women’s Bush Poetry champion renowned for her energetic renditions. To register your interest to compete in this event email Upper Hunter Shire Council Tourism and Events Coordinator, Jan Sinclair or call (02) 6540 1300. There is a major raffle that will be drawn at the Fashions of the Fleece event on 10 June. Tickets are on sale now for $2 each or three for $5 and can be purchased from the Merriwa and Scone Visitor Information Centres and Council offices. Prizes include a holiday at the Mantra Aqua Resort in Nelson Bay, a one night stay at Strathearn Park Lodge, a fully packed whole lamb cut up by Max’s Country Cuts and donated by the Campbell Family of Merriwa, a Hunter Belle Cheese voucher and a bottle of boutique Orange Rose from Small Forest, and cheese platter for two and two glasses of wine at the Vines Restaurant, Hollydene. The full program for the Festival can be downloaded now from the Festival of the Fleece website. 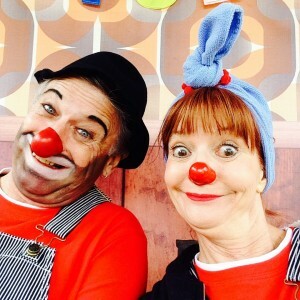 The program includes all the events and activities at the Showgrounds during the Festival including team penning activities and entertainment from 3.00pm through to the big finale at 6.00pm with the fireworks.